Our brief from Universe Solicitors was relatively straightforward. We were hired to design and develop a modern, clean and professional website that would stand out in a highly competitive industry. 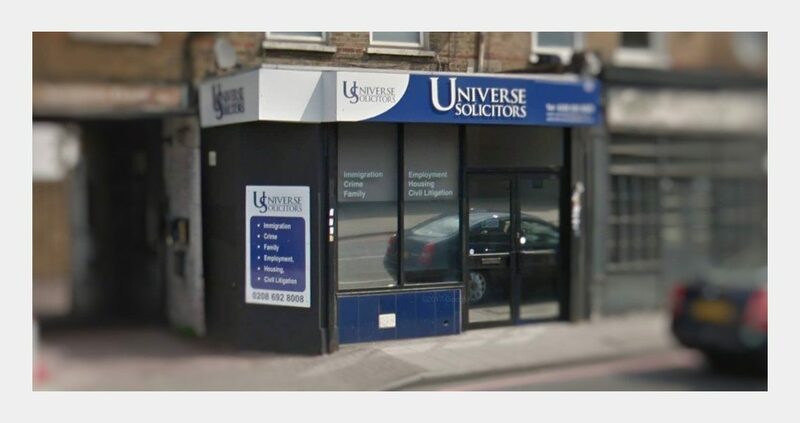 Universe Solicitors is a highly regarded soliciting firm in Greenwich, London. They specialise in Immigration, Crime, Employment and Civil Litigation, growing their client base year-on-year. The client, a highly experienced and accredited solicitor, had ambitions to start his own firm. 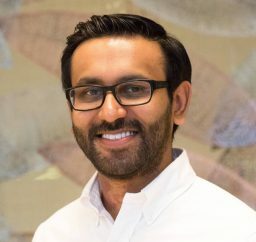 He understood that a website that was easily accessible to prospective clients, and showed a strong brand message, could help differentiate him from a large number of solicitors based in South-East London. We first sat down with the client at their offices to get a deep understanding of their business, their target market and what they wanted the website to do. 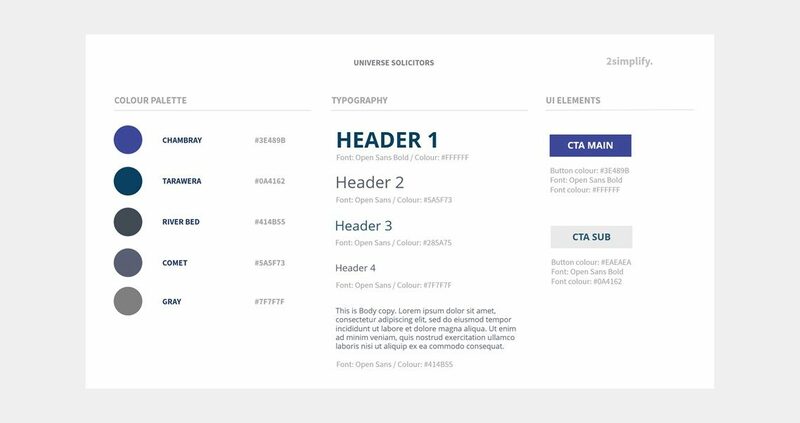 We understood that branding was highly important, so we agreed upon a style guide consisting of colours, fonts and other UI elements. With the majority of users having only basic knowledge of websites, the design and content had to be very simple and relevant. 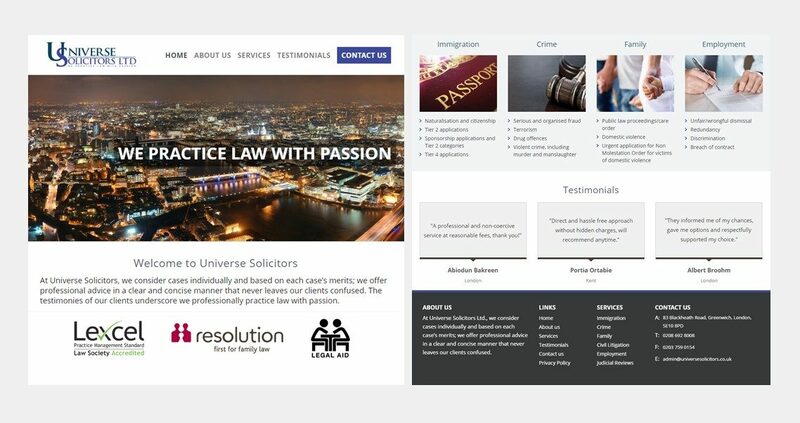 The aim of the website was to give a brief yet comprehensive insight into what Universe Solicitors provide and to encourage users to contact Universe Solicitors if they wanted to use a service. We, therefore, highlighted Contact Us on the homepage and clearly provided all the relevant contact information. This is now the most visited page on the website. 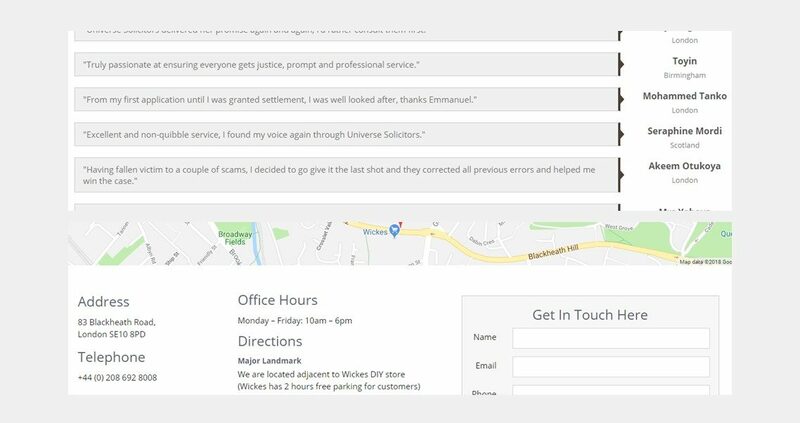 Recommendations via testimonials play a huge part in client acquisition for Universe Solicitors. We wanted to make this prominent on the website by highlighting a few excellent testimonials on the homepage, and also dedicating an entire page to testimonials. After the Contact Us page, this is now the most visited page on the website. “2simplify clearly understood our business and clients which was important to us.